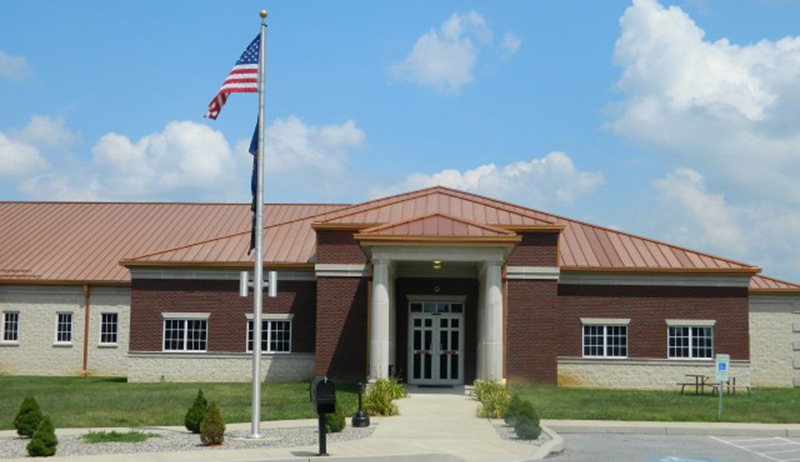 Lancaster County Prison (LCP) is located downtown on East King Street and houses over 1,000 men and women who are imprisoned for varying lengths of time. There are about 6,000 intakes and exits per year (a 67% rate of recidivism). The chaplaincy office has 9 paid staff persons, plus another 12 volunteer chaplains. They coordinate all religious programs providing mentoring, prayer ministry, and listening. Chaplains distribute Bibles and other religious books and study materials. They also approve and schedule all pastoral visitations with inmates. The chaplains office handles over 1,200 requests/contacts from the inmate population monthly (about 14,000 per year). Currently, hundreds of area pastors have about 2,600 one-on-one inmate visits per year or about 8-9 daily. Support for Prison Ministries staff (paid and volunteers) provide about 1,200 hours of chaplain ministry per month. About 25 other churches and/or ministry teams do regular worship services which are attended by many inmates. Annually, about 2,200 Bible study correspondence courses are completed by inmates. Special classes including Intensive Prayer Ministry, Addict to Discipleship, and Inside/Outside classes continue inside the Prison. Mentoring programs, to provide Faith based studies and spiritual disciples for inmates preparing for release, are available to inmates. Aftercare and re-entry connections can be made with churches and community ministries. God is at work in many exciting ways behind the walls of Lancaster County Prison. The Youth Intervention Center (YIC) is a Juvenile Facility located in the Sunnyside area of Lancaster. Young persons, age 10-17 are detained here until their court hearing. There is also a shelter area, where non-criminal or minor offenders are housed. The chaplain program has 3 part time staff who provide one on one counseling, do group Bible studies, show Christian videos, distribute Bibles and coordinate regular church services. It has a chapel, library space and counseling office. About 15 churches and several volunteers do regular church services, visitations and activities. Pastors have access to visit young people from their congregations or neighborhoods. The Application for Prison Access is available below in PDF format. You must print and complete the application in full. If any part of this application is not filled out completely, LCP will return the application to our office and your approval will be rejected. In order for us to process your application, please print clearly and follow all instructions. You will receive a phone call from the Chaplain’s Office after we are notified of your approval. If you have any further questions, feel free to contact the Chaplain’s Office at (717) 295-2089.